Steam is used throughout commercial, institutional, and industrial facilities in various ways. In addition to other direct pressure and propulsion/drive applications, steam can be utilized as ‘motive fluid’ to assist in the movement of liquid and gas streams in a piping system. Jet ejectors can pull vacuum in equipment like distillation towers, allowing for the separation and purification of vapor streams. Continuously removing air from surface condensers via steam results in the desired vacuum pressure on condensing turbines to stay uniform. The entrance and subsequent diffusion of the steam through an inlet nozzle results in a low pressure zone, where the air from the surface condenser gets transferred. 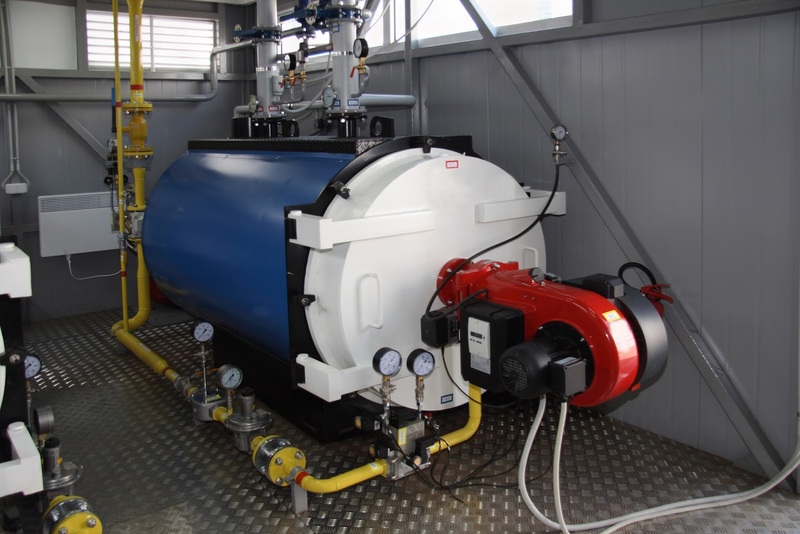 Similarly, steam serves as the primary motive fluid for secondary drainers, which pump condensate out of vented receiver tanks, flash vessels, and other process control components susceptible to stall conditions. Steam is applicable to a process called atomization, wherein steam mechanically separates a fluid. Burners use steam for atomization by having steam injected into the fuel, thus maximizing the efficiency of the unit’s combustion while concurrently minimizing soot production. These steam generators and boilers, powered by fuel oil, use steam atomization to partition viscous oil into smaller droplets. Flares, similarly, utilize steam atomization as an exhaust pollutant reducer. In said flares, typically, the waste gas mixes with the steam prior to combustion. Along with motive fluid and atomization, steam is also a fantastic cleansing tool. The soot in soot blowers gets removed via a steam cleaning process. Oil or coal fuel sourced boilers need soot blowers to cyclically clean the furnace walls and eliminate combusted deposits. These regularly scheduled cleanings allow for the capacity, durability, and effectiveness of the boiler to remain consistent. The nozzle of the soot blower directs the steam, dislodging dry, sintered ash and slag. Hoppers then catch the dislodged substances and they are expelled with other combusted gases. Steam can also add moisture to a process while simultaneously acting as a heat supply source. In paper production, paper moving over rollers at high speed is moisturized by the steam, ensuring that no miniscule breaks or tears are suffered during the production process. Pellet mills, which produce animal feed, directly inject steam to heat and, concurrently, add to the water content of the feed as the feed passes through the mill’s direct conditioner section. The water softens the feed and then partially gelatinizes the starch content, leading to firmer pellets overall. Lastly, commercial and industrial facilities utilize low pressure steam as a primary source of seasonal heating and humidification. Finned or bare coils, coupled with steam humidifiers, condition the facility air, keeping the temperature regulated for both comfort and preservation of items like books and records. Steam coils heat the cool air, resulting in the relative humidity dropping. The controlled injection of dry, saturated steam allows for moisture addition to regulate the relative humidity in a smooth and precise manner via steam humidifiers installed in air ducts. Share your steam generation and use challenges with steam system and combustion experts, combining your own knowledge and experience with their expertise to develop effective solutions.